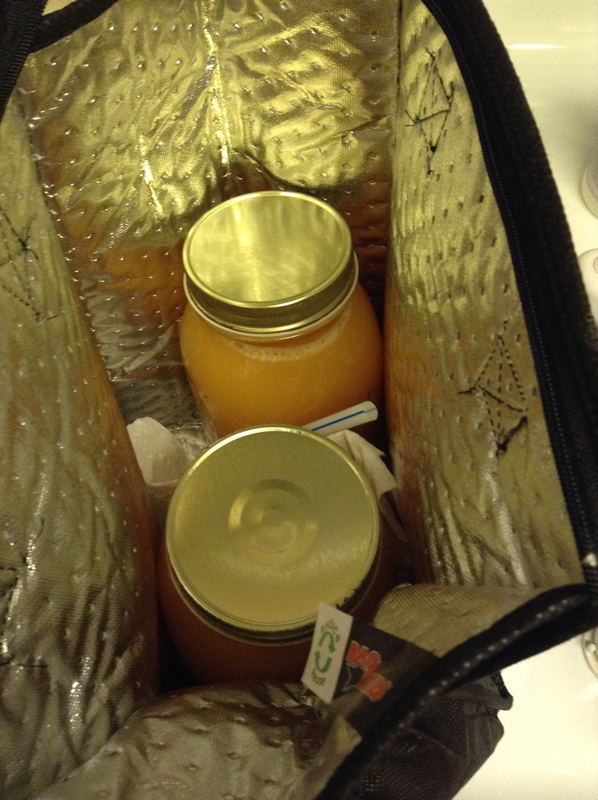 I juiced 64 oz of OJ this morning to take to work. 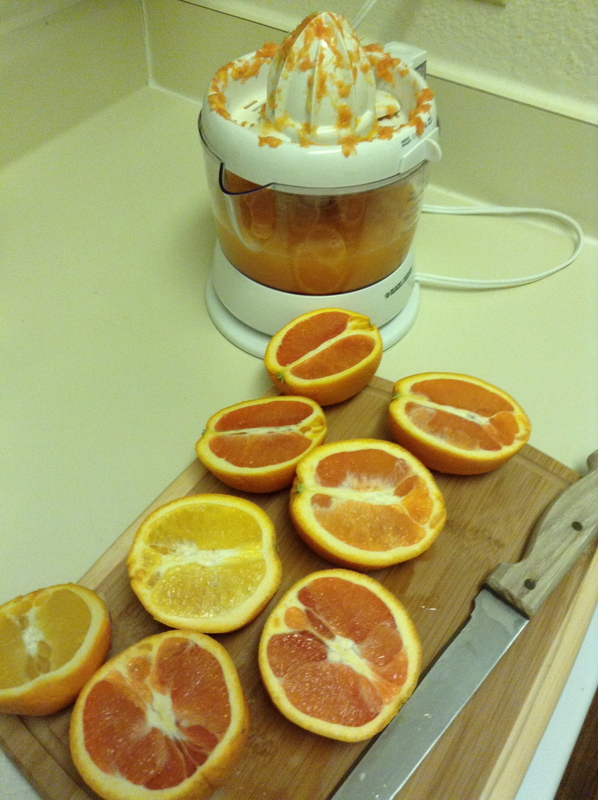 The Cara Cara oranges yielded at least 4 oz of juice a piece; the same for the organic Valencia oranges. I had only four oranges left afterwards. So, I may stop by Whole Foods or Urban Juicer for lunch. Juiced and ready to go! An hour into it, I’ve only drank half a quart. I finally finished the first quart at 10:30 am…two and a half hours after I began! I’m glad I didn’t fix a smoothie or other food to eat today. I would not have eaten all of it. I shopped for more oranges on my lunch break. This cleanse was very gross. It’s most definitely referred to as a “cleanse” or a “flush”, as opposed to a “fast”, for a reason! I was constantly flushing, in every sense of the word. This detail is one that I didn’t even really think about. For other detox programs that I’ve done, sure, there is some cleansing and elimination going on the first couple of days. But on this cleanse, it is every day! Throughout the day! It is not so bad that you could not make it to the restroom in time, but it is very close. And I never noticed the white tongue thing. I didn’t seem to experience it. Still eating ice! Though I haven’t craved or eaten as much ice as usual. I feel very alert, and my stomach is quite calm. I have lost 8 pounds so far. The cleanse is over, but breaking the fast lasts three days. So, I’m still monitoring results. I started out thinking I would do it for “10+” days, but ten days was more than enough for me! I’ve been wanting to eat for days, though I experienced only a little hunger. I debated about how to break the cleanse, but since I’ve put in the “work” for ten days, I would not want to ruin it by jumping back into eating. It’s only for a couple more days…I can do it! I don’t know that I would do this cleanse again! It was cool to do once for sure. If I should just need it for some reason in the future, I definitely would do it again. It was simple, and the lemonade was yummy.